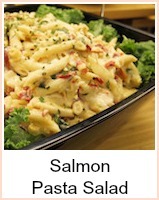 Adaptable recipe for seafood pizza. I will give you the basic recipe and then some ideas as to make it your own. Start off with a pizza base. 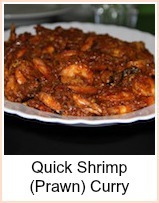 This can either be a ready made one, one you have made up from a packet mix or you can follow the recipe below. 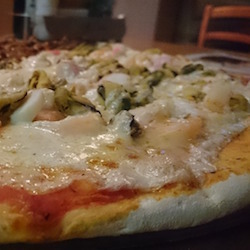 The quantities will be enough to make a 10 inch pizza, which should serve 3 to 4 people. Dissolve the yeast in the water and allow it to ferment for a few minutes. Sift the flour and 1 teaspoon of salt into a large bow. Add the olive oil to the yeast mix, make a well in the flour and pour in the yeast and oil. Knead until firm and elastic - about 5 minutes should be enough. Cover the bowl and leave to rise in a warm place - about one hour, when the dough should have doubled in size. Knead very lightly again and shape into a round - about 10". Place this on a baking sheet or alternatively, you could line a 10" pizza tray. Now for your sauce and seafood pizza toppings. I sometimes use a jar of italian tomato sauce or a tin of chopped plum tomatoes with some basil and oregano, but if you want to travel the traditional route, then here's a recipe for a tomato sauce. If you don't want to make the tomato sauce - and I hardly ever do! - then a carton of passata is perfect. Just fry off the garlic (or add garlic powder/granules/salt) add the herbs and let it simmer. 1 teaspoon of dried herb is equivalent to 1 Tablespoon of fresh. Heat the oil in a pan and add the onion and garlic. Fry gently until softened, not browned. Add the tomaotes, herbs, wine and tomato puree and simmer for about 25 minutes until the sauce is nice and thick. Taste and use salt and pepper as required. Set it on one side and allow the sauce to cool before using. In fact, this sauce benefits from being left as it allows the flavours to infuse. Add some coleslaw and corn on the cob to make this a complete meal. 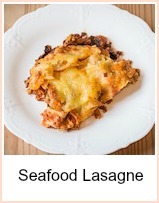 This is perfect for a budget meal - you can just use a can of tuna, pilchards, sardines or mackerel. Drain the oil off (but if it's in tomato sauce, that will add to the juiciness) break up and distribute it evenly around the pizza. A couple of ounces of defrosted shrimp scattered over would be good. You can use cans or jars of shellfish - defrosted mixed seafood, squid - really, the only limit is your imagination! Spread the tomato sauce over the dough base of your pizza. Arrange the chopped pepper, olives and seafood over the tomato sauce. Bake your pizza for 25 - 30 minutes until golden. This recipe for seafood pizza can be adapted for any topping you might like. 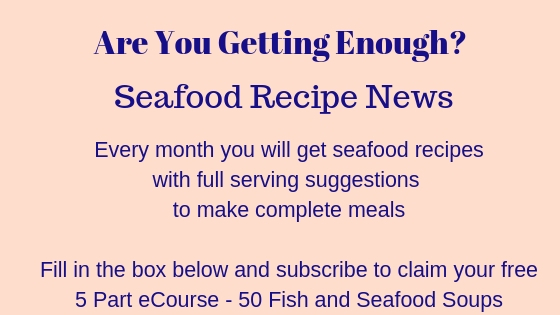 You can ring the changes by altering your seafood mixture, adding different vegetables, such as mushroom, chilli pepper, canned sweetcorn or chopped onion. You can make your own pizza dough (recipe here as well) or buy a pre-made base - either way, this seafood pizza will go down a treat.